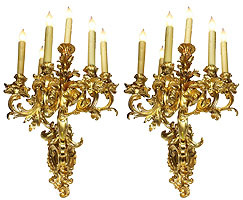 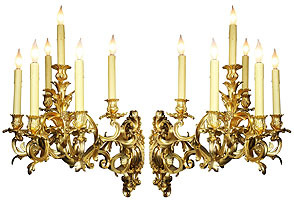 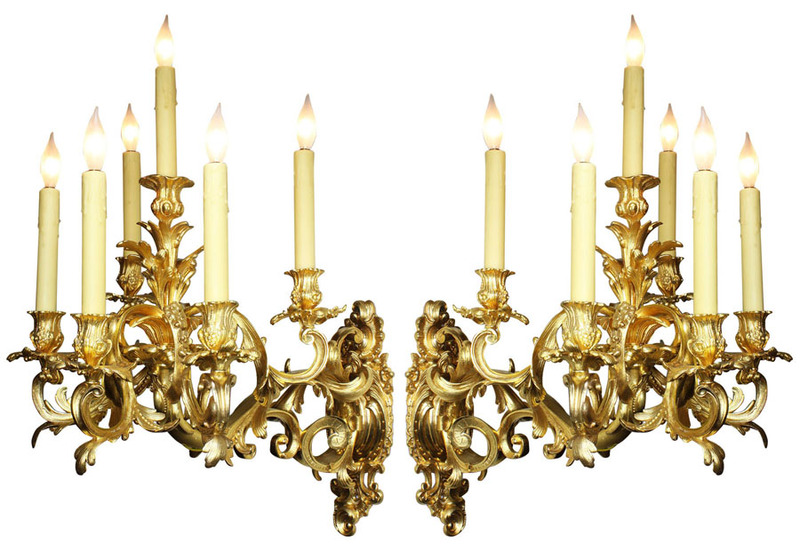 A Very Fine and Impressive Pair of French 19th Century Louis XV Style Rococo Style Six Light Gilt-Bronze Wall Lights - Wall Sconces. 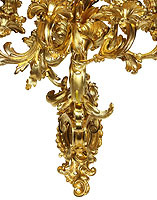 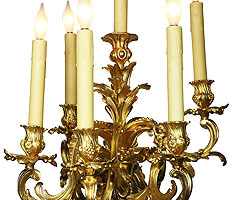 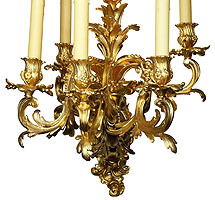 The ornate six light candelabrum with five scrolled candle-arms with flowers, leaves and acanthus and centered with a single candle-light, all supported with a scrolled floral branch protruding from a scrolled shield back-plate. 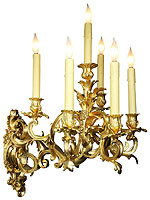 Circa: 1870-1880.